Established in 1990 in Nashville, Tennessee, ADS Security is one of the leading home security system providers. It has been ranked as the 23rd largest electronic security firm in the US. ADS provides a full range of superior home security products including security cameras, burglar and fire alarms, as well as access control systems. The company offers its services only to the seven states in the Southeast United States, including Alabama, Georgia, Florida, North Carolina, South Carolina, Mississippi, and Tennessee, and has more than 70,000 happy customers. ADS Security also boasts of A+ BBB rating. Get in touch with ADS Security experts by dialing ADS Security helpline number and get all your issues resolved instantly. Their trusted and competent security experts are available to assist you by phone 24/7/365. 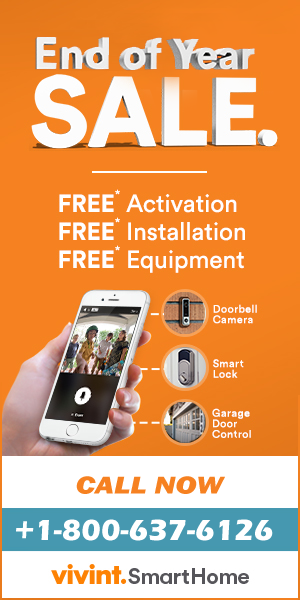 Call now to request a free quote or get a complementary home security evaluation done.